The club was consumed in huge fire caused by a decorated Christmas tree in December 2015. Damages came to $9 million. ANNAPOLIS, Md. — It was Dec. 13, 2015. 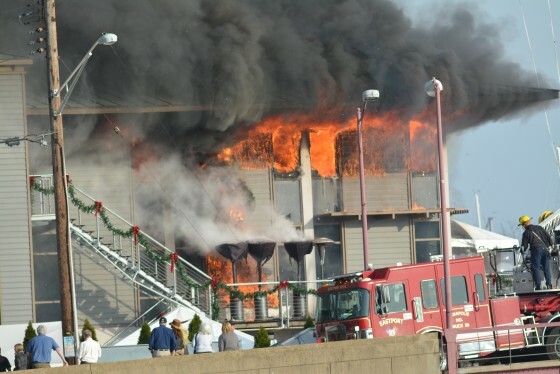 Jim Ellis, the commodore at the Annapolis Yacht Club, remembers getting the call that the building was on fire. The billowing smoke coming from the yacht club on Spa Creek in Annapolis could be seen for miles. “My first thought was, is everybody OK?,” he said. The staff was at work at the club, preparing for a party celebrating the annual Parade of Lights, a holiday tradition on the water. Photos from the 2015 fire. “Fortunately, except for one minor injury to a firefighter, everybody was OK, both in the evacuation and in fighting the fire after that,” Ellis said. The building was a total loss; damages came to $9 million. The cause of the fire was a decorated Christmas tree. 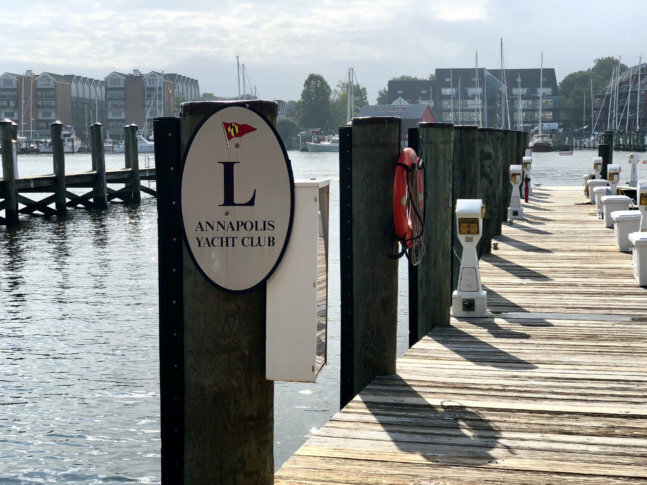 Ellis said the 1,600 club members felt the loss of their gathering place, but that wasn’t all: “It was also a great loss for our employees — we have 150 employees who work at the Annapolis Yacht Club,” said Ellis. The club was able to operate out of a local restaurant, and employees could continue to work. Now, nearly three years later, the club has been rebuilt, its white trim gleaming in the sun. New floor-to-ceiling windows allow for a view of the yachts and other boat traffic along Spa Creek and the Severn River. Even as the club opens for lunches and events, Ellis continues to check on the smallest of details that make the club a comfortable, and stylish, second home for members. “Until they came in and said ‘Wow, we love this!’ it wasn’t done,” he said.